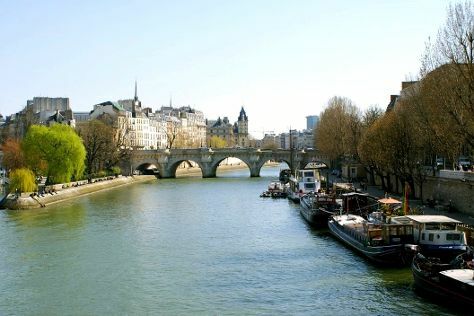 Take a break from the city and head to Île de la Cité and Paris Plage. Do some cultural sightseeing at Champs-Elysees and Montmartre. Venture out of the city with trips to Versailles (Palace of Versailles, The Trianons & The Hamlet, & more) and Chartres Cathedral (in Chartres). And it doesn't end there: admire the masterpieces at Musee d'Orsay, contemplate the long history of Arc de Triomphe, admire the striking features of Louvre Museum, and wander the streets of Le Marais. To find photos, other places to visit, and tourist information, go to the Paris online route planner . If you are flying in from United States, the closest major airports are Paris-Orly Airport, Charles de Gaulle International Airport and Paris Beauvais Tillé Airport. In December, plan for daily highs up to 47°F, and evening lows to 37°F. Cap off your sightseeing on the 8th (Tue) early enough to catch the train back home.